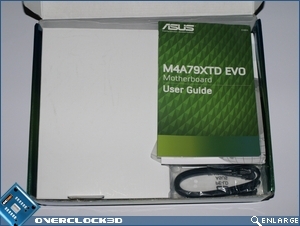 Unsurprisingly, the M4A79XTD EVO arrived in a conventional green box. 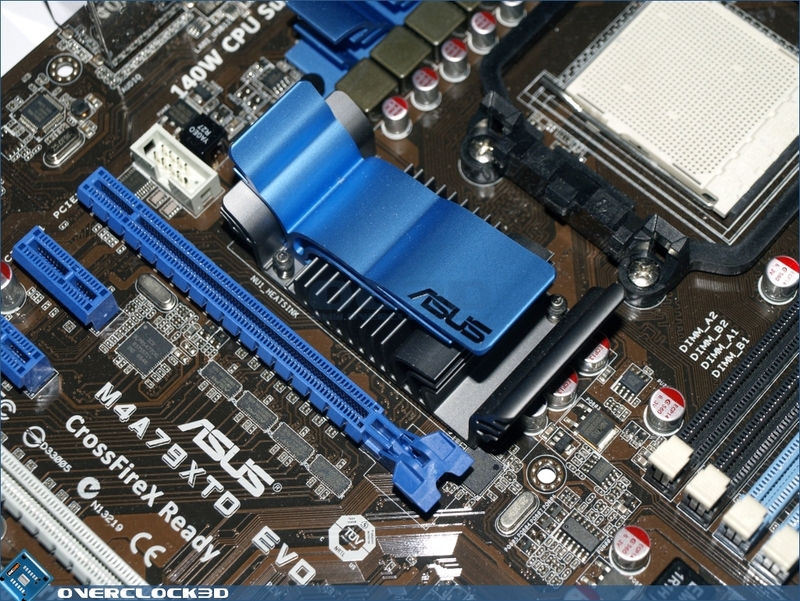 Asus generally tend to write the key features of the motherboard on the front with large bold font and the full specification on the rear. 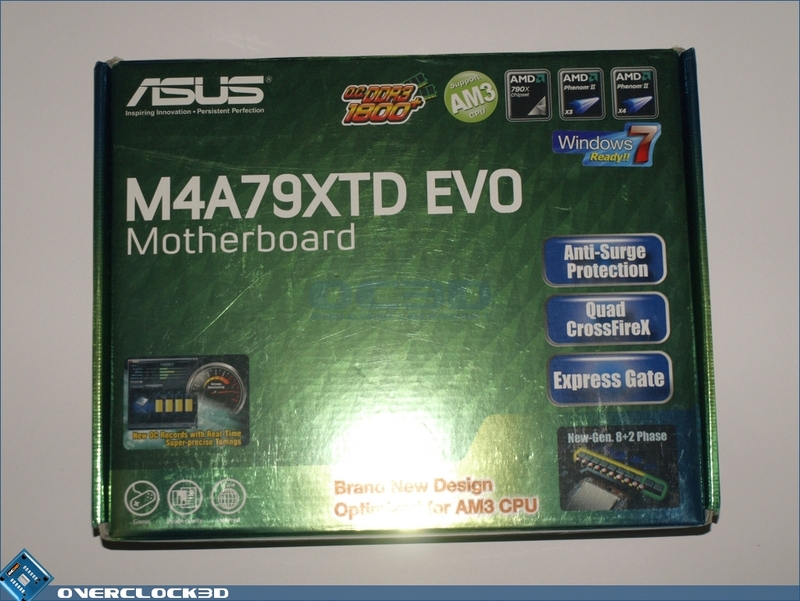 There isn’t a lot of inner packaging but a secondary cardboard ceiling helps hold the motherboard in place as well as its accessories. 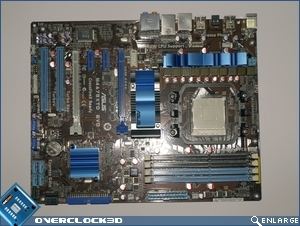 Speaking of accessories, this board includes a manual, driver CD, I/O back-plate and two Serial ATA connectors. 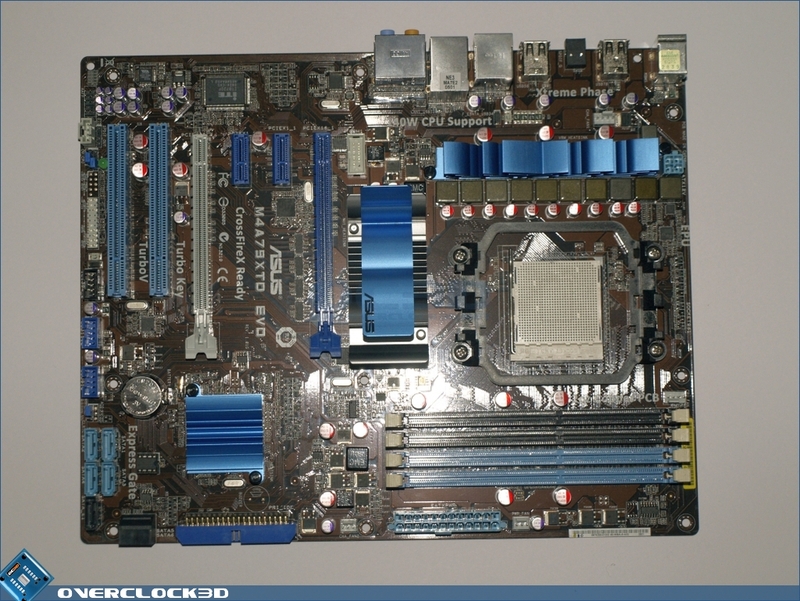 This particular board doesn’t use anything in the way of large heatpipe cooling solutions however the 790X Northbridge is not known to be a warm runner. 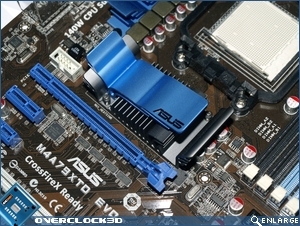 Asus have covered much of the mosfet region with a passive heatsink as well. Towards the rear is its I/O cluster featuring 8 x USB, PS/2, e-SATA and Firewire. 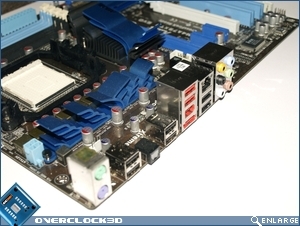 The layout is quite conventional. 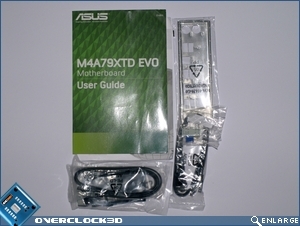 From initial boot to final operating system installation, the Asus M4A79XTD EVO was a pleasure to use. 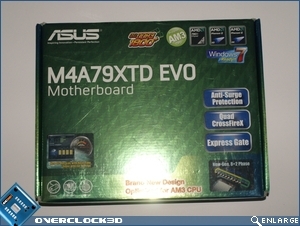 The motherboard booted first time with performance memory and was stable straight from the box.